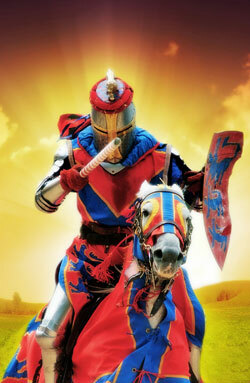 Feel free to call the Faire office at 847-395-7773 if you have any questions. There is no public transportation to the Faire. There are no shuttles, busses, trains, etc. However, we are within the Uber and Lyft service areas. Coming from the south? Get the latest construction & traffic report from Lake County, IL here! GOOGLE MAPS: Click the Map image below to see our location. See traffic on the I-94 tollway too! Traveling south on I-94, take exit # 347 onto Highway 165 which is also called Lakeside Parkway. This exit is past (south) of both Highway 50 and County C.
Head west on Highway 165 a very short distance & take first left on to the west Frontage Road going south, about 2 miles. You will see our grain silo, painted with our logo. There is a red barn with a metal roof on the right. Enter the parking lot using the second driveway beyond the barn. Traveling north on I-94, exit to the right at Russell Road. Turn left (west) on to Russell Rd. Cross over I-94 and go to the first stop sign which is at the Frontage Rd. and on the west side of I-94. Turn right (north) on to the Frontage Rd., (which is a divided road here) and go past 128th St. (WG and/or State Line Rd.) Where the divided road becomes one (1/4 mile, maybe) there is a driveway. Turn left up the drive to the Faire parking lot. US45 runs north & south and is intersected by WG about 6 miles west of the Faire. WG is also called 128th Street or State Line Road. Travel on WG east to Frontage Rd. Turn left (N) and go to the parking lot.